In the previous article, we talked about the nature of human fears in relation to artificial intelligence (AI). We also outlined two important themes to address in the upcoming challenges of the AI era: the societal, and decision-making aspects of AI systems. In our new article I expand on the theme of the impact on society, and I share our opinion on possible steps we should take to anticipate and adjust to it. 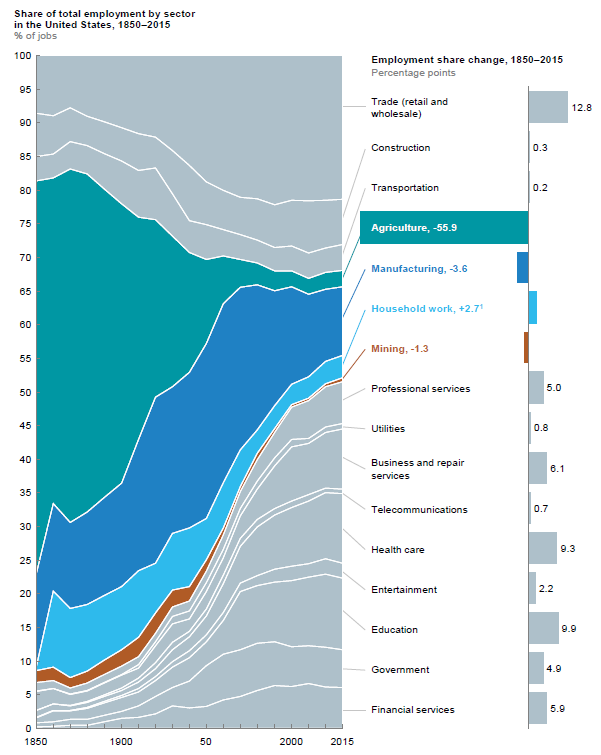 McKinsey analysts estimate the automation potential for all economic sectors to be around 50%. This means that around half of all the activities people in the world’s workforce are paid to do today could potentially be automated with currently available technologies. It represents almost $15 trillion in wages (about China’s GDP today). Historically every industrial revolution (Figure 1) has had its primary driving factor. For example, the adoption of electrical power defined the era of mass-production and led to the economies of scale, impacting both capital and labor. The huge societal challenges arriving with automation resemble the challenges of industrial revolutions. Figure 1 Timeline of the industrial revolutions. What lessons can we learn from the past? What are the current drivers and the economic consequences? What is the role of ethics in the ongoing changes? When we talk about the technological impact on society, we can reference lessons from the past. We know, for example, that as a consequence of the 1st industrial revolution, mechanization increased the productivity of each worker but real wages stagnated for approximately 50 years. Figure 2 Engels’ pause in real wages during productivity growth (MGI, 2017; Allen, 2008). 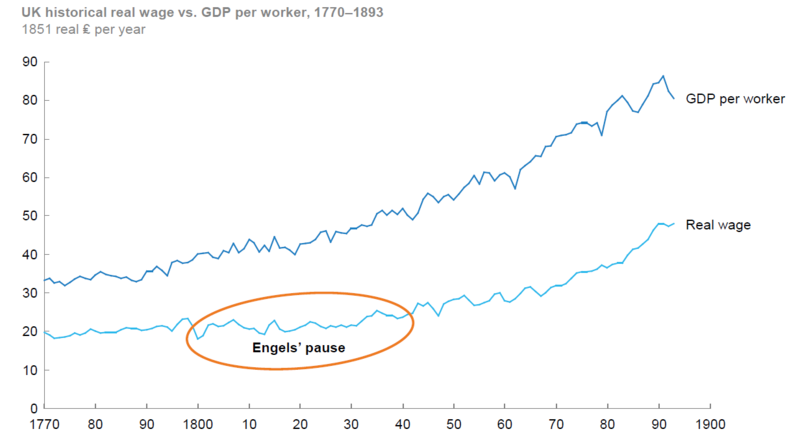 In economic theory, this phenomenon is described as “Engels’ pause”. It explains that due to great technological developments, the lives of a large number of people worsened first before society began to prosper in the longer term (Allen, 2008). Finally, what could be the driver of growth for the new industries that are emerging? Let’s identify this resource that will enable us to create new types of jobs and transform businesses. Steam, Electricity, Computer & Internet… the drivers of previous industrial revolutions. Let’s now look at what would drive change in an era of AI. Along with algorithms and advanced computation facilities, the accuracy of the models constituting artificial intelligence rely heavily on the availability of real-world data. Data will fuel the development of AI and data is crucial. IDC estimates 10x growth of the available worldwide data by 2025 with almost 50x growth in analyzable data (up to 5.2 ZB). A $138 bn data market is predicted by 451 Research, this number surpasses the GDP of more than 135 countries (IMF). Data is the driver of the new industrial era, it is here, growing, and ongoing transformational processes brought by data-driven applications pose new challenges to society. These challenges aren’t in the technical field of AI development but are rooted in our human nature. While 35% of the skills demanded for jobs across industries will change by 2020, at least 1 in 4 workers in OECD countries is already reporting a skills mismatch with regards to the skills demanded by their current jobs (WEF, 2017). The problem is not the absence of jobs, but the skills requirements of new jobs (MIT Sloan Management Review, 2017; WEF, 2018) that are already being created today (see AI Teacher). How will humanity surpass and adjust to the possible Engels’ pause that may result from adoption of AI and automation? Throughout history, the decline of some large-scale employment sectors has been countered by the growth of new sectors that absorbed workers. The recent example of the emergence of personal computers shows us that technology drives the creation of many more jobs than it destroys over time, mainly outside the industry itself (Figure 4). It is estimated that from 1970 to 2015 the personal computer industry destroyed almost 3M jobs in the USA while creating more than 19M jobs in other sectors. Such increase has resulted in fast economic growth in the services sector, in trade and in the creation of new industries such as the software industry. Figure 4 Birth of the knowledge economy (MGI, 2017; IPUMS, 2017). In the information era that started in the 1960s, the main driver of change was the dissemination of computers and, consequently, global access to the internet. This, in turn, has created a so-called knowledge economy. In the knowledge economy, it became possible for us to deliver services remotely, outsource business processes, and to dematerialize the whole concept of economic transactions with internet-based payment systems. What skills will the workplaces of the future require? In previous articles we approached this question a few times, and we keep reflecting on it. Future of work, skills, coaching: where can AI take us? Why do we talk about education in this series of articles about ethics? We do so because we are able to re-use lessons learned from history, re-think our future, and re-skill individuals to benefit the economy and guarantee their right to work. In their book, Milton and Rose Friedman said, “the essential part of economic freedom is freedom to use the resources we possess in accordance with our own values – freedom to enter any occupation, engage in any business enterprise, buy from and sell to anyone else, so long as we do so on a strictly voluntary basis“. What do we need to support such freedom? Technological advances may lead to income inequality with higher incomes for workers whose skills are complemented by technology, but not for those whose skills are substituted by it. Economists at the Bank of Canada suggest: “the greatest productivity benefits will occur in firms with high-quality people-management and decision-making processes and high levels of human capital”. Developing human capital requires education. In the past, one had to spend a lot of time digging in libraries with limited opportunities to access information or find a teacher. Today most answers are available in our smartphones and are accessible 24/7. Still, according to the statistics, people in search of employment are not spending sufficient amounts of time in re-education and re-skilling. 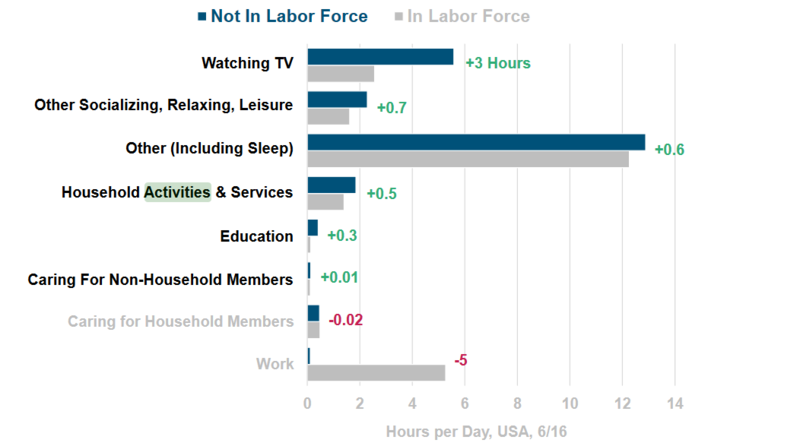 Figure 5 Most common activities for many who don’t work (KPCB Internet Trends, 2018). Why is this so? Today’s formal education system is based on outdated industrial learning methods (Rolff, 1993; Banathy, 1993; Gray, 2009; Rose, 2012). Technology is moving fast, making many courses obsolete even before learners graduate. Let’s just think about this: teachers learn and prepare course materials, they conduct classes, design evaluation systems and help students to graduate. By the time all this happens, the information taught has become outdated. We have been, and still are, working today with an “information-push approach” where the teacher and the content are put in the center and where the learner and the problem are not. This approach has proved insufficient and should be reformed (OECD Report 2018). With the introduction of MOOCs, we address the availability of and access to knowledge with more ease. However, the engagement of a learner, who is overloaded with disparate pieces of information, remains a challenge. Let me recap on this: we know the change is coming with AI and automation, we know that this change will have implications for the workers, we cannot prevent change. Therefore, we need to help people to adjust to change with maximum benefit for them by enabling exponential thinking (Figure 6) so that humans and AI will be complimentary. Blaming machines for this issue is not a solution. Employability of human capital in the 21st century will require new sets of skills: resilience, critical thinking, social skills and the ability to learn, reflect, and quickly adapt to change. Figure 6 Adaptability and exponential thinking with the right mindset and tools (SU, 2018). Acquisition of such skills requires new learning methods and discussion about them worth a separate article, if not a series of research projects, conferences, and debates. Life-long learning requires creative destruction, where the word creative is the key. The word Creativity is rooted in creation, the creation of new meanings, new interactions, new products, and new markets. In the abyss of the great depression and hardship in 1933, the opening lines of Franklin Roosevelt’s inauguration speech were, “…the only thing we have to fear is fear itself.” Becoming comfortable with uncertainty is an essential component of any creative process, especially when creating a positive future. Team PocketConfidant believes that education is fundamental to prepare our society for the future. We need a model of education that helps each individual to learn faster and easier, based on personality, strengths, and interests. The new model of education should help anticipate the never-ending change in life while accounting for personal values, desires, and goals. This is how Team PocketConfidant started to work with the Education system in 2017, as a first step to developing new ways of supporting learning methods and academic innovation. How should we govern in the AI era to positively impact privacy, security and wealth distribution? As Peter Drucker once said, “the best way to predict the future is to create it”. I think that three of the following approaches could help in society’s regulation of the impact of AI. Governmental regulations based on the nature of each AI solution. Which vertical will potentially be impacted? What are the human and institutional roles currently involved in the industry vertical? Which new technologies are disrupting the status quo? What are the new roles, processes, and regulations that will, could or should emerge? Example: Healthcare Example: Doctors Example: Automated melanoma diagnosis via image recognition Example: Doctors as teachers of machines, assistive instruments, self-medicine with doctor’s recommendation, etc. I think that a basic framework such as this could be used by each industry consortium and community to begin the dialog and craft targeted approaches. Defining the role of the citizen – are their opinions individual or representative of a society? As in previous transitions between industrial eras, developing education, awareness and continuous learning will be vital. Distribution of income, is equally important. While yields in productivity will increase, there is no guarantee that these yields will be shared fairly. Governments have a responsibility to address issues of inequality. They can use tools such as taxation and transfers, however such use will involve difficult trade-offs related to preserving incentives to invest in technology. As pointed out by Carolyn Wilkins, senior deputy governor in Bank of Canada, increased market power for some AI players may raise important systemic issues, many of them being global in nature. In today’s globalized world, international regulations will also be challenging, given how easy it is to move intellectual property to unregulated jurisdictions. Therefore, countries and economic areas that create favorable conditions for artificial intelligence solutions that augment human capabilities, are expected to largely benefit from technology progress. For example, France’s AI mission for humanity aims to develop complementarity between humans and machines (Proposal 4.2) and to support AI-based social innovations (Proposal 7.3). 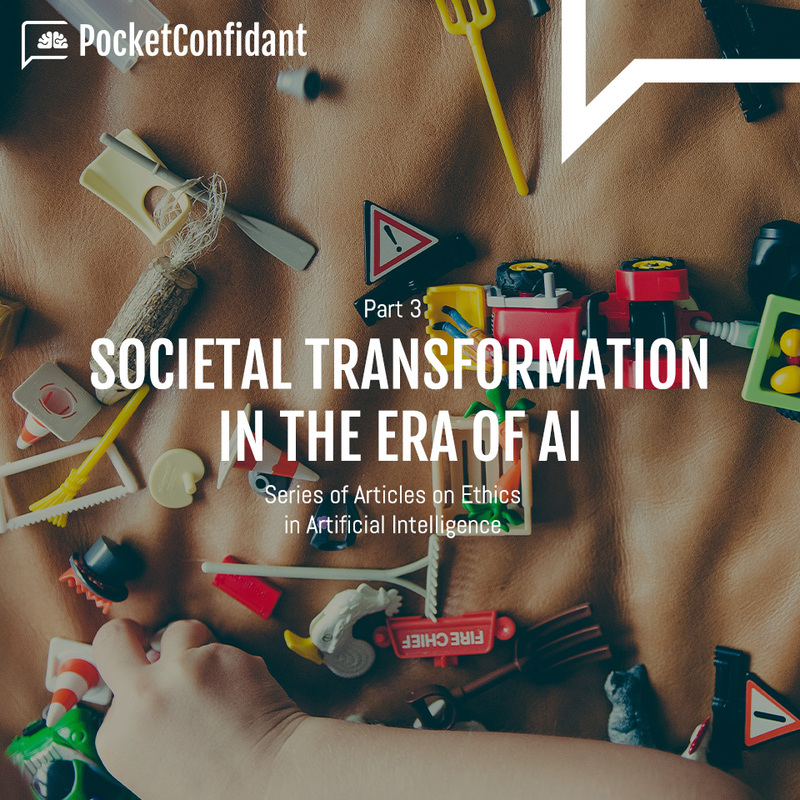 In this article, through the prism of industrial revolutions, I covered some of the anticipated transformational changes artificial intelligence will bring. Upcoming transformations will be disruptive in nature and will change the future of work and the way we develop our human skills. At the same time, in PocketConfidant we are positive about the potential of transformative changes and we think that they can benefit society if anticipated well. We believe appropriate anticipation and preparation would require 1) industry-led assessments with identification of skills and learning approaches to future-proof the workforce, 2) Creation of an inclusive dialog between experts and citizens, and 3) Governmental and targeted cross-border governance for each concrete application of AI. In our next article I will discuss the governance and ethics of AI decision-making and will share our opinion on inclusive AI design.